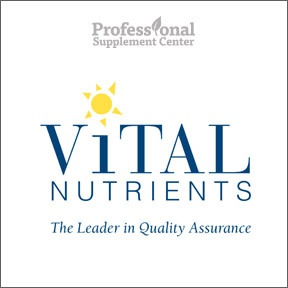 Vital Nutrients has a clear mission to promote good health by maintaining exceptionally high standards of quality assurance in the development and manufacture of their pharmaceutical grade, professional strength supplements. 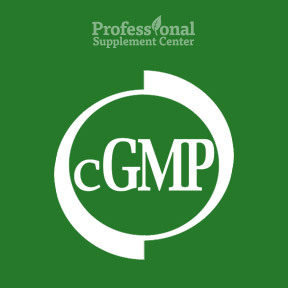 Their science-based, clinically effective, superior quality nutraceuticals provide the most synergistic and beneficial active ingredients to promote increased good health, wellbeing and vitality. 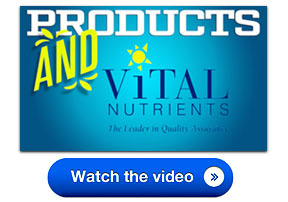 Vital Nutrients takes pride in exceeding all pharmaceutical and government standards in the manufacture of their natural, research-based products designed for optimal product integrity and consistent clinical results. Raw materials are quarantined until independently tested for herbicides, pesticides, fungicides, heavy metals, dioxins, microorganisms, GMO’s and chemical residues. 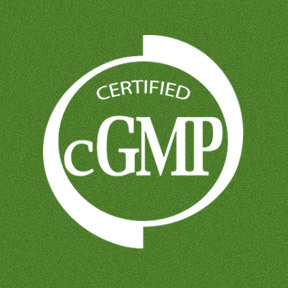 Products are manufactured in an energy efficient, FDA inspected cGMP facility without the use of binders, excipients or potential allergens. All finished products are tested for identity, authenticity, purity, potency, stability and expiration date validation. Because good health is “vital,” Vital Nutrients believes that nothing is more important than the quality of their supplements. Their efficacious products are available solely through healthcare professionals. BCQ – This popular highly recommended product contains a powerful herbal combination blend that provides enhanced support for maintaining a healthy inflammatory response while reducing minor pain. Free of binders, gluten, yeast, dairy, sugar, soy and artificial ingredients. Vitamin D3 2000 IU – One capsule provides 2000 IU of bioavailable vitamin D3 as cholecalciferol in support of calcium absorption, bone health, colon health and the maintenance of healthy serum calcium levels. Vegetarian formulation. Free of binders, gluten, yeast, dairy, sugar and artificial ingredients. 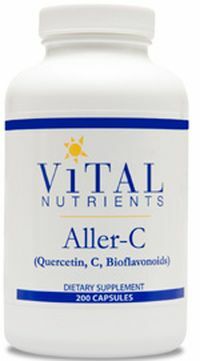 Aller-C Quercetin & Bioflavonoids – This potent and effective combination formula provides support for maintaining proper levels of enzymes and physiological factors needed for normal sinus and respiratory function. Free of binders, gluten, yeast, dairy, sugar, soy and artificial ingredients. Triple Mag 250 mg – This 5 star-rated product supplies 3 forms of magnesium in support of numerous bodily functions, including nutrient metabolism, muscle function, healthy teeth and bone density maintenance. Free of binders, gluten, yeast, dairy, sugar, soy and artificial ingredients.